Innokin’s DRV is an odd bird to say the least. The company has never been afraid to put out oddball advanced personal vaporizers (I’m lookin’ at you Cool Fire II). Clearly they don’t have a problem breaking the mold. Let’s start from the basics. 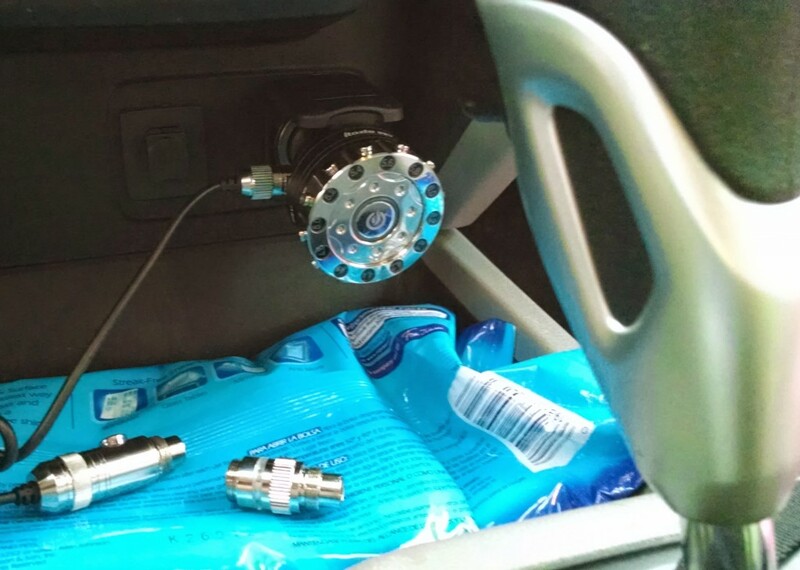 The DRV is a device designed specifically as a car accessory. It has no batteries of its own. Basically it’s a big honkin’ dial attached to an automotive power plug. The idea is that you plug this iTaste model directly into the accessory power port (cigarette lighter for you old timers) in your dashboard. What you then have is a new dial to accompany all the assorted other knobs and dials that are likely already in your car. The dial itself is a nice, large device. 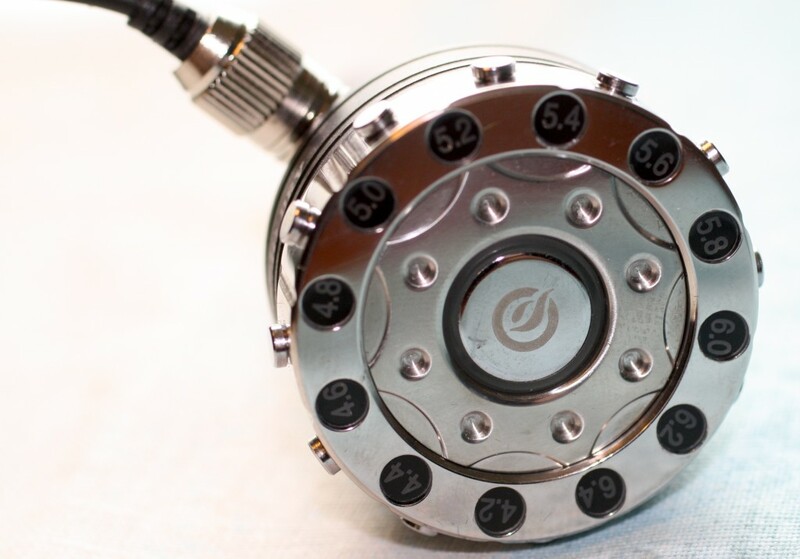 It has an action very similar to Innokin’s other dialed vaping devices like the SVD and VTR, only much larger. The dial is also backlit. There are a series of circles on the inner perimeter of the face. Each circle features a backlit number that lights up when selected. The options are various intervals between 4.2 and 6.4 volts. Yes, I said volts. Apparently the company decided to buck the wattage trend and kick it old school with variable voltage similar to the CLK I reviewed earlier. 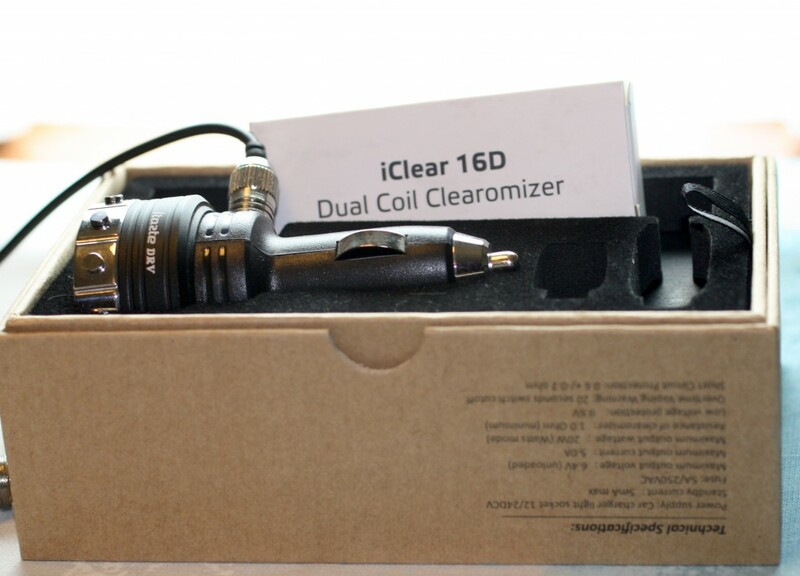 The version I received was bundled with a pair of the excellent iClear 16D clearomizers that ship with the CLK. Of course the other wait a minute moment is that it tops off at 6.4 volts, quite a bit higher than the average variable voltage device commonly available these days. All of this is packed into a metal, not plastic housing just in case you were wondering. Ok, getting back to things. At the center of the dial is a power button which is also illuminated. This is particularly handy if your car has one of those power outlets that doesn’t shut off when the car does. Now you might be wondering how you get to the vapor. On the side of the Innokin’s body is a port to which a thick coiled cable is attached. If you really want an old-timey car accessory comparison, it sort of reminds me of a CB Radio cable. The other end of the cable has a receiver to which you can screw one one of two bodies, an automatic body and a manual body. The manual body has an illuminated activation button. Both bodies feature an eGo connector and are on the somewhat short side, measuring just a couple inches. As I mentioned, the short body is a little odd because I’m just not used to holding my vaporizers so close to the button the whole time. Further exacerbating that is this heavy-duty cable. It’s nice in that it’s very unlikely to break, but it also has the habit of tugging on the button area while vaping. Here’s a tip: stretch out the cable when you first get it, it’s very tight and giving it a few good pulls to its full length will relax the coils a bit and make things more manageable. Thanks to the screw-in connector for the cable to the main body, there’s no worries about pulling the cable loose. Also, depending on where your power port is will dictate how well this thing works as an accessory. In my car, the power port is down low in a cubby, so it’s not exactly easy to read and adjust while driving. I normally just set it and forget. The big dial does mean it is easy for me to reach down and turn it a click or two, if I know where I am. I played with both the auto and manual bodies, of course. I liked the draw on the auto battery, and at first I found it a little easier to deal with than the manual. That was before I got the cord broken in and got used to the manual body, which I naturally prefer. If you happen to be in a driving situation where you need both hands, the auto body might be a good choice for you. Performance really didn’t differ between the two bodies. The Innokin performed great. To be honest, I never pushed my luck with the higher power settings. I tend to use stuff that’s happy around 5v or so. I certainly noticed when I was running at voltages that creeped into the higher 5v spectrum. 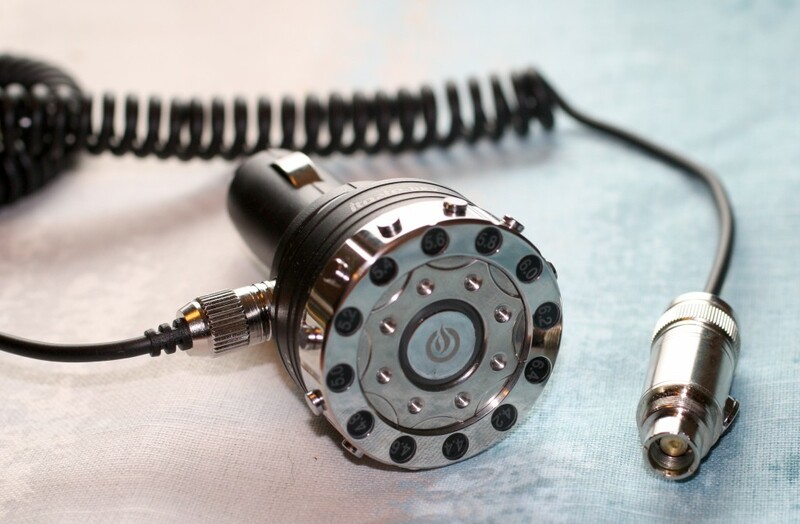 In kit form, the DRV comes with a pair of iClear 16B clearomizers which rock dual coils. They can handle a fair amount of voltage, but 6.4 is still excessive in my book. I have about a 30 minute commute to work each way, so for me I really like having a dedicated in-car vaping device. I can save my batteries on my other devices and always have a spare handy in my car. Still, the DRV is a bit spendy, so I imagine this will appeal mostly to people who drive a lot. They should sell this thing at truck stops! If you’re behind the wheel a lot, you might want to consider the purchase. Click here to visit your friendly online neighborhood merchant for pricing and whatnot. 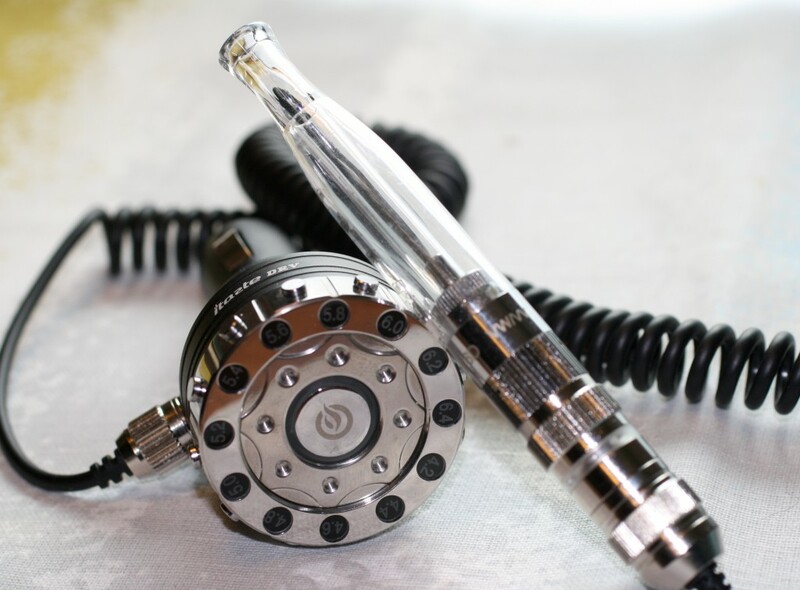 The Innokin iTaste DRV is probably the world’s first dedicated in-car personal vaporizer system. Boasting a very solid design and a large illuminated click wheel, it feels like it really belongs in a car. Voltage output up to 6.4 volts ensures it can handle any demand. This is a good choice for those who spend a lot of time driving. Others might want to just go for something like an MVP instead.